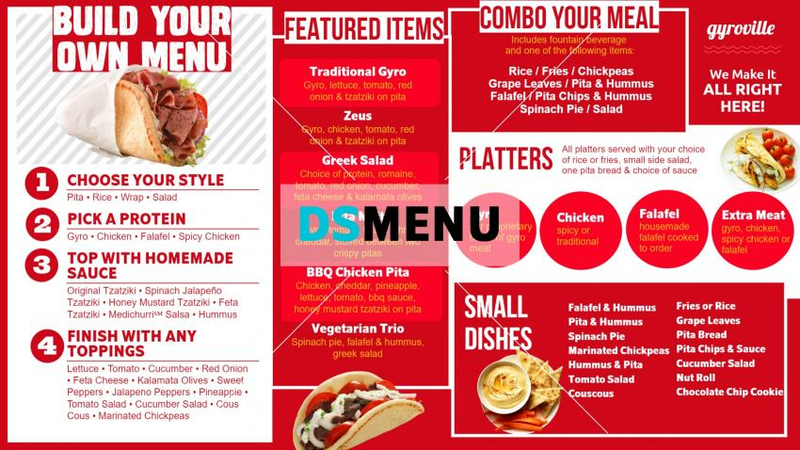 This complete Gyro menu board delineates vibrancy and flamboyance by its dominant red color complimented well by the white letterings. Like the earlier menu, this ‘build your own menu’ also provides the right incentive to customers. Each section of the menu is uniquely highlighted. On a digital signage menu board this menu will certainly attract the target audience with the restaurant clocking bumper sales each day !